This is Adam. 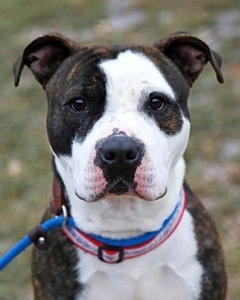 He is three years old and currently charming folks at our Newington Care Center! Adam can live in a single family home, with condos considered. This large, active dog would like to live with a family who will keep him busy and exercised on a daily basis. Adam has not had much experience with cats or other dogs but he may be willing to consider sharing his home with a furry friend. This is a great dog with lots of potential for a family with large, active dog experience! The Connecticut Humane Society is a private organization with adoption centers in Newington, Waterford and Westport. The Connecticut Humane Society is not affiliated with any other animal welfare organizations on the national, regional or local level. Posted in Newington Town Crier, Newington News on Thursday, 20 December 2018 08:34. Updated: Thursday, 20 December 2018 08:36.